Last week, I bought some Fuji (Red Delicious) Apples and, when I ate the last one, I decided to dig out the seeds. I didn't know if they would grow or not but, when I opened the core of the apple, I found three seeds already sprouted! Yay! I've named them the Maid, Mother, and Crone. I'm gonna try to get three more started (I bought more apples, hehe) - they'll be known as the The Green Man (we'll call him Georgie), Hunter, and the All-Father (Father Sky). [Note - Translation for Christians: the Son, the Father, and the Holy Ghost - in that order. Unfortunately, you don't have an equivalent to the triple aspects of the Goddess, though the Marys -the Virgin Mary, Mother Mary, and Mary Magdalen - could fill those roles]. I planted the sprouts a few days ago. They are getting ready to push through the dirt. Squee! I'll snap a photo when they pop up! So, this is what's going on outside. Here's two of the three Hollies I found growing in a flower bed last year (they are now a year-old)! Holly seeds must pass through the digestive tract of a bird before they will sprout, so I have feeders up and am encouraging the birds to hang out near the Momma and Pappa Hollies. I need about...oh, twenty-five more of these. 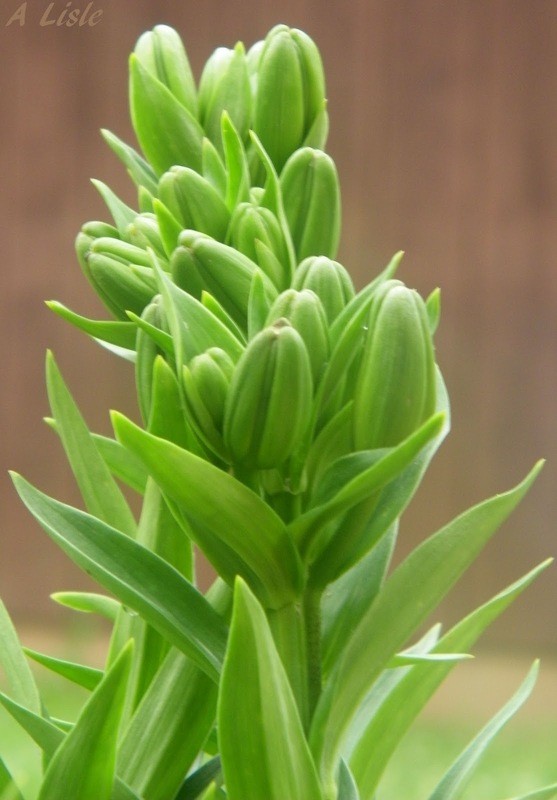 Here's some of my Asiatic Lilies, getting ready to bloom. I can't wait to smell these! It's one of the few pollens that doesn't bother me. 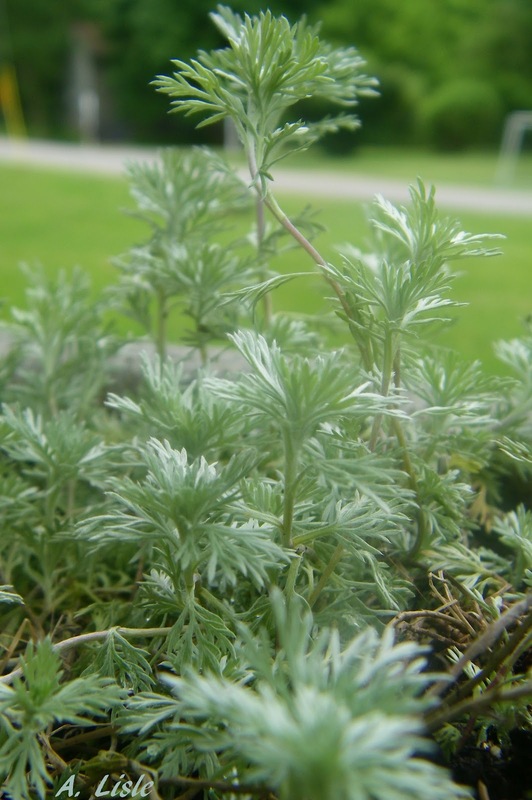 I pruned back the woody growth of my Silver Artemisia and moved it into the sun. It's perking back up. I had a hard time keeping the artemisia alive last year because of all the rain. Even our local greenhouse lost most of their plants because of soil never had a chance to dry out and these guys love dry ground. This one managed to hang on so I moved it to a better location where I hope it can thrive! 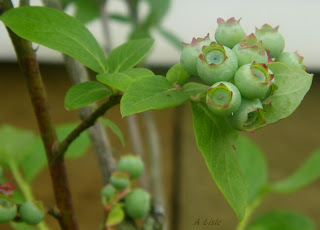 If I can remember to pick up netting soon, I may have blueberries this year. There's a couple new additions to the garden, but I'll save those for a later date.